The only Jewish family who lived in Commissaris De Vos van Steenwijklaan, was the De Horst family. Meijer de Horst came from Blokzijl, born 23 March 1899, and was one of six children of Mozes and Naatje De Horst-Keizer. Meijer married Goldine Simons, born in Hoogezand on 26 February 1904. The couple first went to live in Ruinen and soon after moved to Meppel, where their two children were born: Salomon on 8 June 1934 and Mozes on 24 April 1939. They first lived in a house in the Woldstraat and then moved to De Vos van Steenwijklaan. Meijer was a merchant in draper’s goods, and was trading from his home. 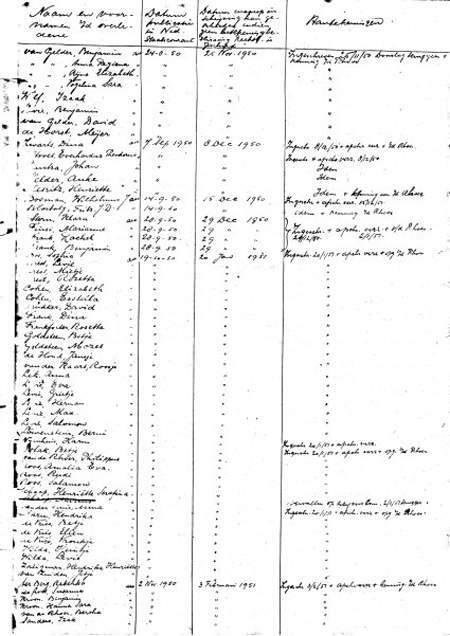 Meijer and his wife had two Jewish ancestors, (according to the list drawn up on January 1941 in connection with V06/1941 of Meppel Jews) and both were of the Jewish belief. According to a regulation of the Department for Education, Science and Protection of Culture of 16 August 1941, not only the parents, but also the children were of ‘Jewish blood’. Mozes kept out of harm’s way; at the beginning of the war he was still too young to go to school. Salomon was to attend primary school in August 1941. On the list put together by the town clerk’s office, behind Salomon’s name was written: first form of Vledder school (officially called ‘School B’). 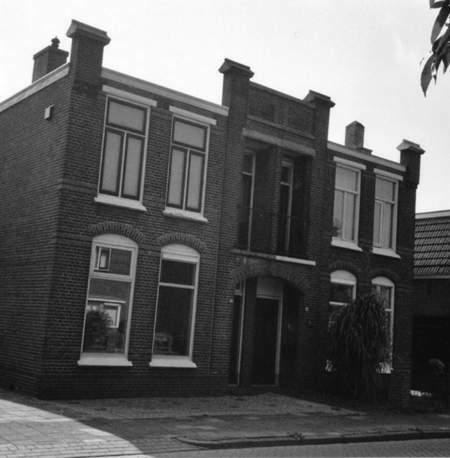 As the primary school was forbidden for Jewish children, he could only go to school on 1 February 1942, when finally a Jewish school was opened in Meppel. The school was at first situated in the building of C.J.M. ‘Theofilus’ on 5 Stationsweg. After a few months the school moved to Touwstraat, in use from the first of September onwards. It would not last long, for a month later Jewish life in Meppel was over. Salomon only had a six-month-schooling. For unknown reasons Meijer was not sent to a work camp. One reason could be that both he and his wife had only two Jewish grandparents. This ‘advantage’ was not to last long, because on 3 October his whole family was, just like other Jews who had four Jewish forefathers, taken out of their home. The next day neighbours saw the table still set for breakfast. It all happened so sudden. On a list of war victims, written by hand by a civil servant, Meyer de Horst’s name appears. They all stayed in Westerbork for nearly a month. 30 October was the last day for Meijer, Goldine, Salomon and Mozes. They were put on the train to Auschwitz; a father, mother and two small children. It has been said before: what must have gone through the heads of these little children and how worried these poor parents must have been. Goldine, Salomon, and Mozes were immediately murdered on their arrival at Auschwitz on the 2nd of November. Meijer remained alive for a certain time and was probably put to work under inhumane conditions. He did not hold out for long; it is known that he was murdered in Auschwitz on 28 February 1943. Meijer’s parents Naatje and Mozes (in Sobibor on 14 May 1943), his two brothers, three sisters and Goldine’s parents Filippus and Geertruida and brother Jonas (in Auschwitz on 11 December 1942) were all murdered by the Germans. The house of the De Horst family in the Commissaris de Vos van Steenwijklaan.